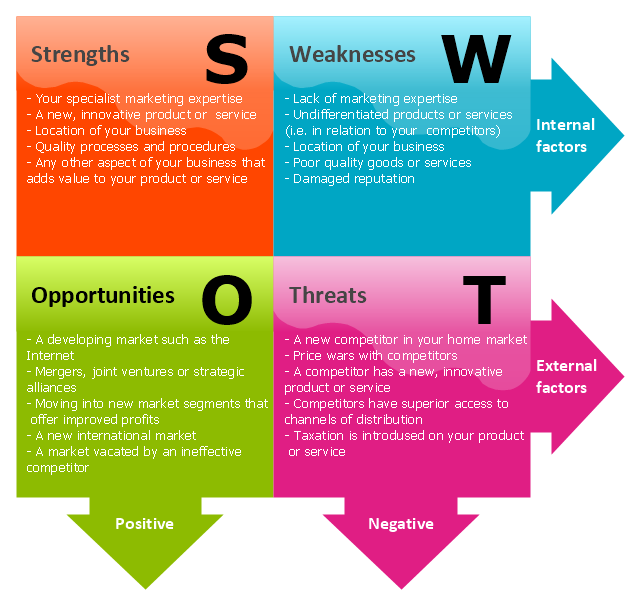 SWOT analysis is a strategic planning method for evaluation of Strengths, Weaknesses, Opportunities, and Threats of a project or a business venture. 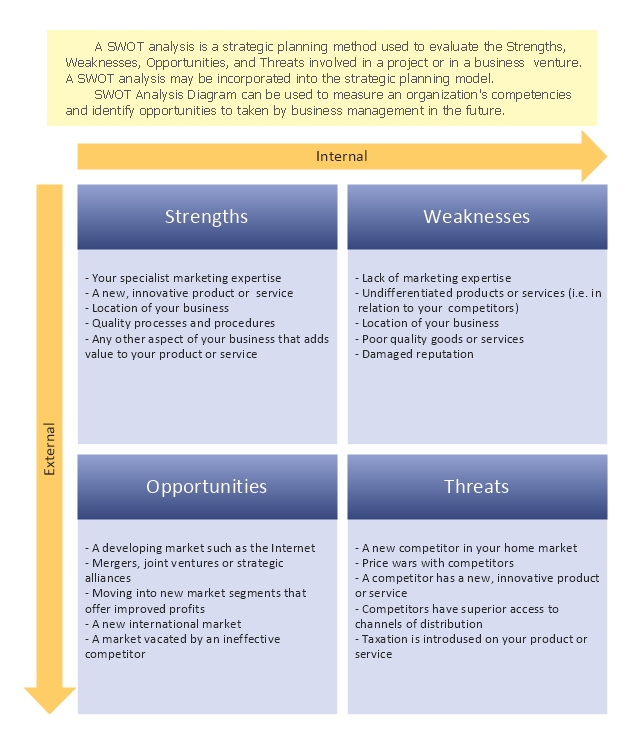 It may be the part of strategic planning model. 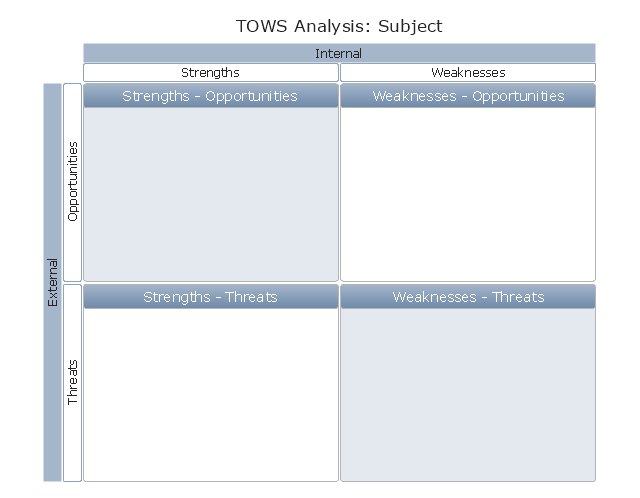 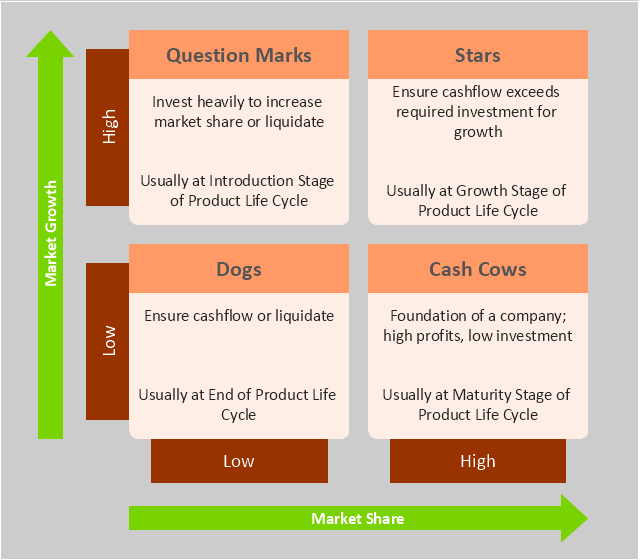 SWOT Diagrams are used to measure an organization's competencies and identify opportunities to taken by management in the future. 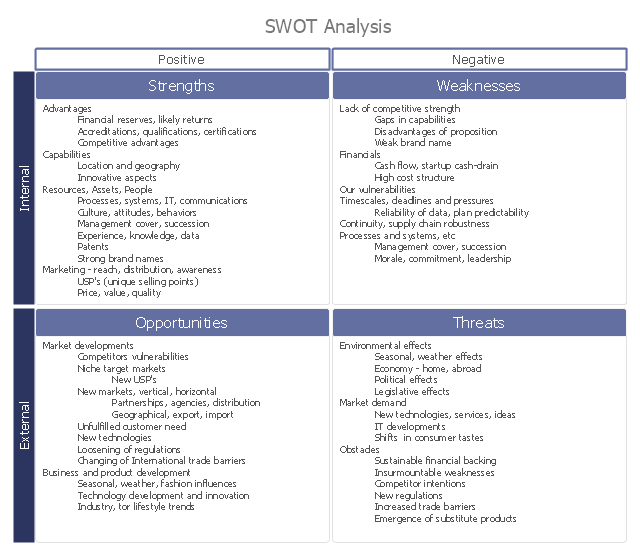 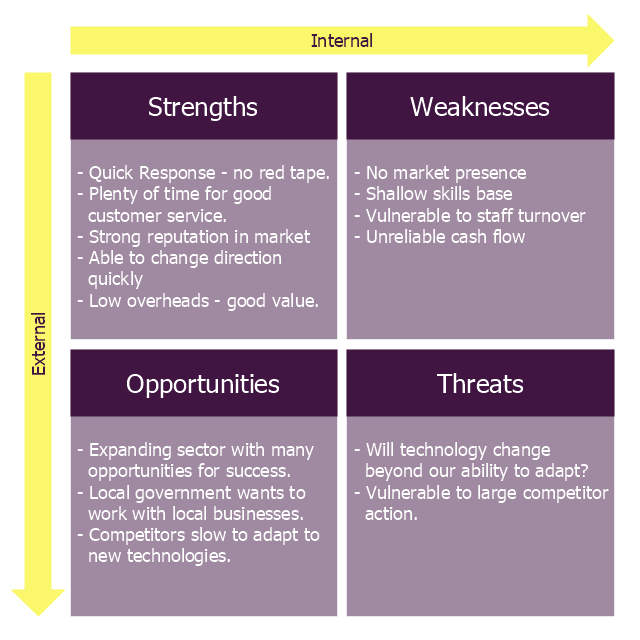 "SWOT analysis is an analytical method which is used to identify and categorise significant internal (Strengths and Weaknesses) and external (Opportunities and Threats) factors faced either in a particular arena, such as an organisation, or a territory, such as a region, nation, or city. 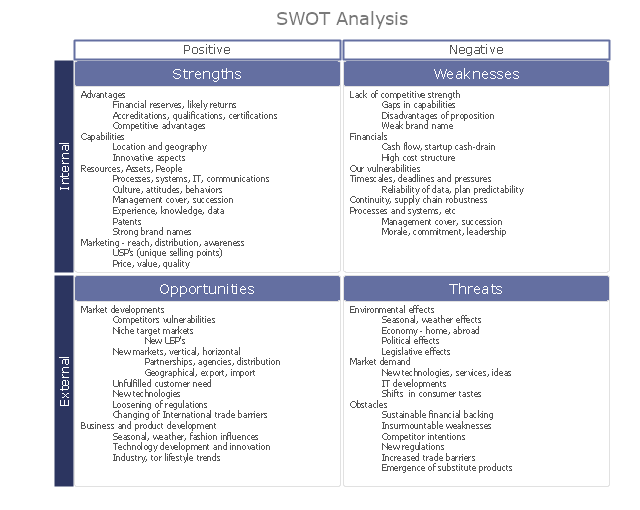 It provides information that is helpful in matching the firms' resources and capabilities to the competitive environment in which it operates and is therefore an important contribution to the strategic planning process.